"... I love to use hyper it works. But I want a box off hyper for $50 dollars "
The price is fair and you shouldn't be greedy. "... I have just used up my last free sample from the Arnold weekend and I just bought a couple of full tubs. Excellent pre-workout and a nice change-up to the usual that I have been using over the years. Nice fizzy type drink, tasty and gets to work in about 20 minutes for me. 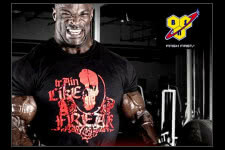 Lasts throughout my workout and more of a mental energy boost which I prefer." "... About half way through the container and I like it, a lot. I would suggest this for newbies.. it's really strong. Huge stimulant effect but wicked pumps as well so for me it's the perfect combination." "... It's only been a couple of days but I just wanted to share that this stuff works, and works well. I have used Neurocore for the past cycle and decided to try this one as they are similar and it's a toss up so far.. both excellent products and looks like this is the new standard at least." Leap Frogging all Concentrated Powder Formulas - HYPER FX Delivers the Ultimate Results! BSN Sports and Nutrition have always been the pioneers in pre-workout supplements, such as with the new Hyper FX that will be hitting the market very shortly! 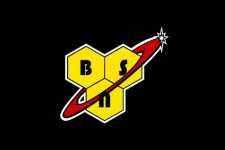 With the creation of NO-Xplode many years ago, the market was changed forever as BSN transformed how we train to this day. Better pumps, more focus, longer performance, increased recovery which all lead to better muscle growth and strength gain results - this is what the all new Hyper FX produces and much more. 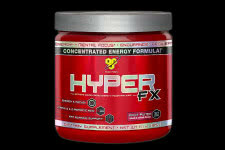 Leaping into the concentrated format, Hyper FX will enter your system extremely fast and deliver potent ingredients in one small scoop. It is going to be more advanced, powerful and effective over the current NO-Xplode format. Be sure to share your review and rating of Hyper FX with us so you can help share the truth behind supplements at your only trusted supplement reviews resource.. fitFLEX! Most Advanced Pre-Training Concentrated Sports Formula!